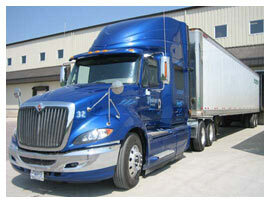 Whether you are looking for local or long distance trucking services, Pfeninger Trucking, Inc. has a solution for you. With our central Minnesota location in Villard, we are able to offer daily freight service to and from the Twin Cities metro area. With a complete lineup of van, flatbed, reefer, and livestock trailers, Pfeninger Trucking, Inc. has the necessary equipment to get your freight delivered.